Your experience at a Thai restaurant will certainly involve nam prik, a chili pepper sauce that comes in many variations. The term translates as pepper water, and the condiment represents an essential element of Thai cuisine. Whether you dab it onto fish and rice or dip tasty vegetables into it, the chili sauce delivers complex flavour and provocative pleasures. Thai dining includes a choice of these sauces that generally contain shrimp paste, red chili peppers, other hot peppers, garlic, lime juice, and fish sauce. If you’re a little leery of the spiciness, you can dab your food into the sauce and carefully savor the robust flavours. Those seeking a scorching adventure can dip more deeply and spoon liberal dollops of fiery flavour onto their steamed rice or butterfly prawns. Variations of the ubiquitous Thai sauce abound, such as Nam prik khapi, Nam Prik Goong Sot, and Nam Prik Pla Ra. Khapi is popular throughout Thailand and based on roasted fermented shrimp paste. Goong sot is very similar but retains chunks of shrimp. Pla ra, which hails from northeastern Thailand, builds a sauce upon pickled fish. Thai dining etiquette grants everyone the freedom to the pair the sauces that they prefer with different dishes, like garlic eggplant or stir-fried green beans. Thais don’t frown on double dipping either probably because of the antimicrobial power of the chilies and garlic. Chili peppers get their pungent punch from a compound called capsaicin that also provides high amounts of vitamin A and C. Chilies can also boast of health benefits that include inhibiting inflammation and boosting the immune system. 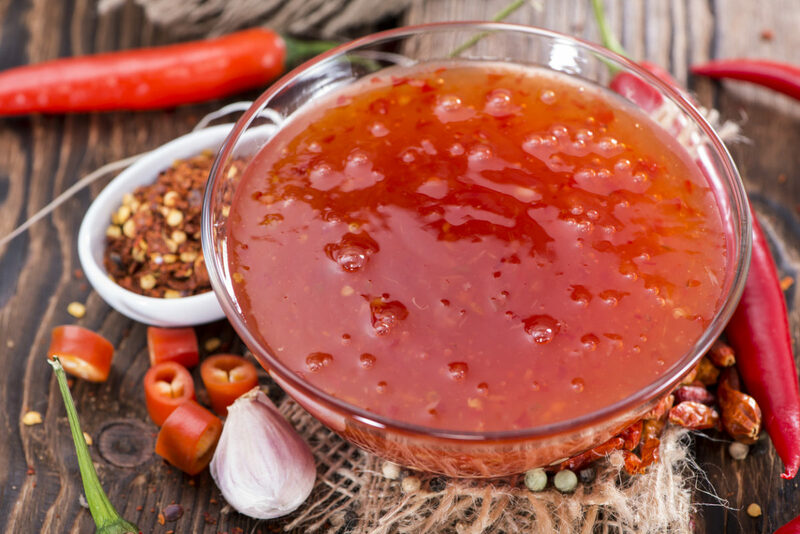 Thai chefs recognize the medicinal nature of chili sauce as another note within the song of Thai cuisine that strives to balance color, flavour, and texture. Chefs design every bite to reward the senses and nourish the body. The cuisine delivers a delicate interplay of flavours reminiscent of the detailed movements of classical Khon dancers. 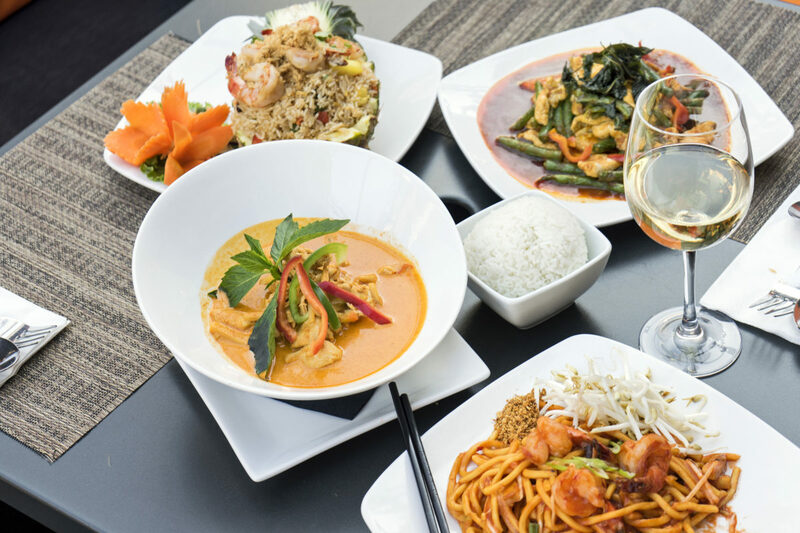 You and your friends can compare nam prik flavours during Happy Hour at Urban Thai. No matter your schedule, you can take a flavour trip to Thailand from 3 p.m. to 6 p.m. or 9 p.m. to 10 p.m.